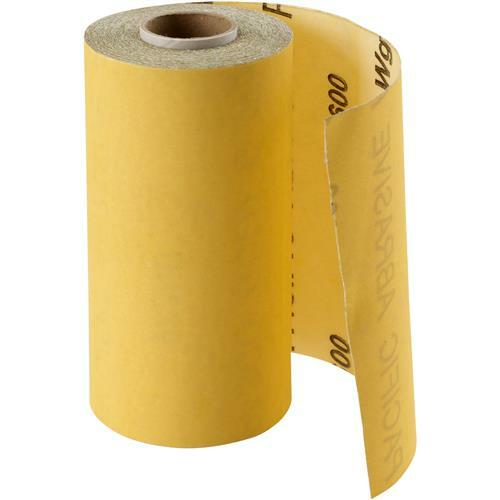 These sharp, durable, premium aluminum oxide rolls come in a heavy "C" weight paper backing which outperforms products claiming to be equal but use backings closer to "A" weight. This heavy backing is also mylar laminated to improve edge tear resistance. An open coat product with a non-loading zinc stearate treatment delivers a fast cut and exceptional life. Go for the Gold and you won't be disappointed. 600 Grit. 30'X 4-1/2" backed with Pressure Sensitive Adhesive.